Finding a job and entering the workforce can be an intimidating thing. What’s going to make you stand out? Internships are a great way to get real-life job experience. It helps you to beef up your resume and discover what you really want to do. Those with internship experience are far more likely to get jobs because they’ve already proven themselves in the workforce. Though internships are most common in the summer, many companies offer them year-round, so you can still do an internship while you’re in school. While the majority of internships are unpaid, you can find some paid positions as well. Here are the top places to find the right internship for you. This is the largest and most popular internship database out there. You can create your own profile that lets you apply directly through their system, and save your resume to reuse. They also have a lot of resources to help you with each step of the internship process. For those looking to get work experience and make a positive impact in the world, Idealist is the perfect place. They only show listings for nonprofit and government jobs. You can even search by the specific social cause that you want be a part of. Indeed is a job search website that has a huge number of internship listings. Most listings will take you directly to the company website where you’ll submit your application to them. It’s the one of the most popular job boards, you’ll find internships ranging from small local businesses to large corporations like Facebook and Google. SimplyHired is another job search site that has a massive listings directory. 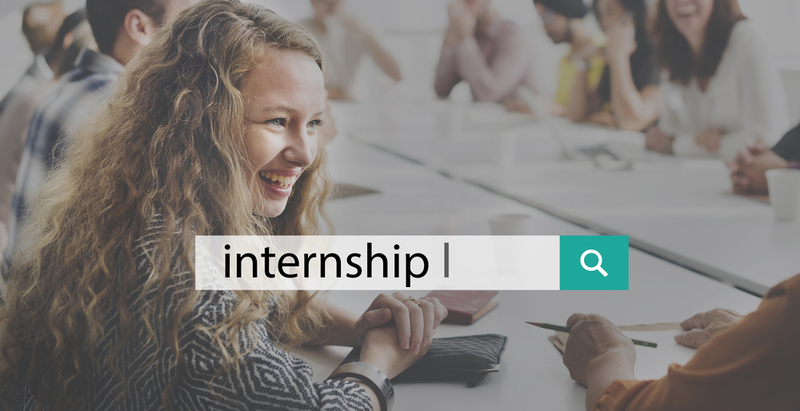 Searching for “internship” will bring up thousands of options that link directly to each company’s site to apply through. They also have a great blog that helps you with your application process. Looksharp is a job search board that has a strong focus on internships. They list internships and entry-level jobs from top cutting-edge companies. To apply, you’ll be required to create an account on their network, but you can start with your Facebook or LinkedIn profile which will help you auto-build a resume. Experience is a job and internship site that has a strong connection in the job market. It is the same company that powers the job boards at most colleges, so they have a strong connection with schools and the companies that post there. You’ll need to create an account to apply, but it allows you to add info and resumes to apply to multiple positions. Glassdoor is a job and internship board that has a strong focus on the work experience. Each company has a star rating and reviews from past and current employees so you know what it’s like to work at that company. Some listings link directly to the company’s site, while others let you apply directly on Glassdoor. Be sure to look at listing sites often, as frequently as every few days. Companies post internships at different times, and may close them quickly. Apply professionally like you would a permanent job. Take time to make your resume look its best. Include side jobs, volunteer experiences, and relevant school classes and activities. Make sure the internship provides good job training. Some internships simply have you doing busywork like making coffee or filing papers. Read through the description carefully and make sure the company will help you develop the skills you’re looking for.